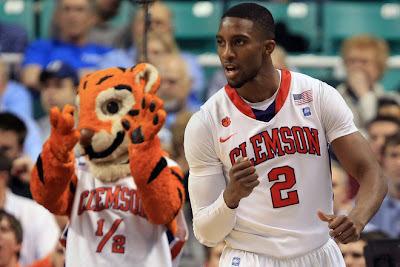 CLEMSON 70, BOSTON COLLEGE 47 -- Demontez Stitt scored 20 points to lead Clemson past Boston College on Friday in the quarterfinals of the ACC tournament. Jerai Grant added 12 points and Milton Jennings had 10 for the fourth-seeded Tigers (21-10). They shot 45 percent on 23-of-51 shooting and clamped down on one of the ACC’s best 3-point shooting teams to win a game both teams desperately needed to polish their NCAA tournament profiles and possibly move themselves off the bubble. After winning its first ACC tournament game since 2008, Clemson advances to face No. 6 North Carolina, the top seed, on Saturday in one semifinal. Joe Trapani scored 20 points to lead fifth-seeded BC (20-12). All-ACC guard Reggie Jackson was pestered all day by Stitt and finished with 11 points on 5-of-13 shooting. Stitt scored at least 14 points for the ninth straight game and Grant had three of his four blocked shots in a 3 1/2 -minute window early in the second half in which Clemson began to pull away. The Tigers made Brad Brownell the winningest first-year coach in school history and won just their fifth ACC tournament game since 1998. 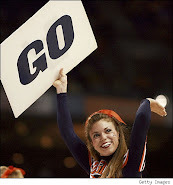 More importantly, they picked up a victory over a team that appeared to be joining them on the NCAA tournament bubble. According to one unofficial replication of the RPI formula, Clemson entered at No. 60 against a schedule that ranked 73rd. The Eagles, meanwhile, were 44th with a schedule-strength rating of No. 27. Clemson never trailed and in the second half had a double-digit lead for all but about 2 minutes, going up by double figures to stay when Stitt beat the Eagles downcourt for a layup that made it 38-27 with 17:45 left. Stitt pushed the lead into the 20s about 10 minutes later when he finger-rolled a layup that made it 56-35. The Tigers and their relentless defense wouldn’t let BC keep up. Clemson, which allows a league-fewest 60 points per game, continually frustrated the Eagles on the perimeter.